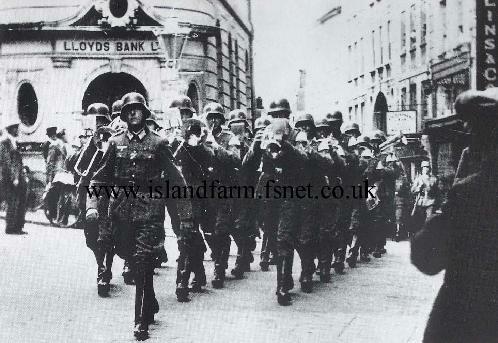 Photo Courtesy Of Mark Lamerton author of: "Liberated By Force 135, The Liberation Of The Channel Islands In May 1945"
16 September 1914: Entered the Imperial German Navy as a War Volunteer with the expectation of a career as a Sea Officer. 16 September 1914-December 1914: Assigned to the I. Matrosen [Seamen]-Division and training aboard the protected cruiser Freya. December 1914-23 January 1916: Assigned to the pre-dreadnought battleship Lothringen. 24 January 1916-September 1916: Naval School Mürwick and Special Courses. September 1916-March 1918: Assigned to the light cruiser Augsburg. March 1918-August 1918: Submarine training at the U-Boat School. August 1918-October 1918: Watch Officer aboard the submarine U 19 in the III. U-Boat Flotilla. October 1918-November 1919: At the disposal of the III. U-Boat Flotilla and then the Inspectorate of the U-Boat Service followed by service as a Company Leader and Ordnance Officer in Infantry Regiment 157. November 1919-24 October 1920: Ordnance Officer in Reichswehr-Schützen [Rifle]-Regiment 32 and 64 and then Company Officer in Ship Cadre units. 25 October 1920-31 March 1922: Adjutant of the II. Battalion of the North Sea Ship Cadre Division. 1 April 1922-30 September 1923: Watch Officer aboard the light cruiser Berlin. 1 October 1923-8 February 1925: Town Commandant of Wilhelmshaven. 9 February 1925-23 September 1926: Consultant on the staff of the North Sea Naval Station (detached for three months to the United States of America). 24 September 1926-1 March 1927: Watch Officer aboard the pre-dreadnought battleship Hannover. 1 March 1927-30 September 1928: Watch Officer aboard the pre-dreadnought battleship Schlesien. 1 October 1928-30 September 1929: Consultant on the staff of the North Sea Ship Cadre Division. 1 October 1929-31 March 1931: Leader Assistant training. 1 April 1931-20 March 1936: Department Head in the Marinewehrabteilung of the Navy Command, on 11 January 1936 the Navy High Command. 21 March 1936-20 May 1938: First Officer of the light cruiser Köln. 21 May 1938-25 August 1939: Consultant in the Navy Budget Department of the Navy High Command. 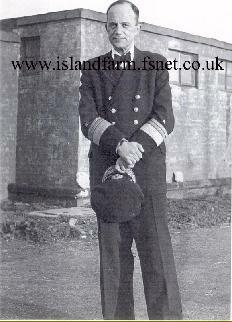 26 August 1939-12 September 1939: Naval Liaison Officer to the General Staff of the Army. 13 September 1939-28 May 1941: Chief of the Construction Department in the U‑Boat Office. 29 March 1942-17 October 1943: Commander of the battlecruiser Scharnhorst. 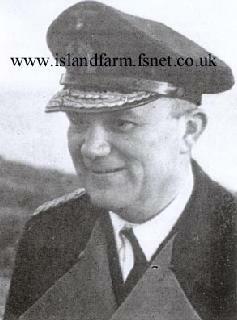 [On 8 September 1943, Admiral Oskar Kummetz led Operation “Sizilien” (Sicily), a naval surface attack on the British and Norwegian-manned weather stations at Barentsburg and Longyearbyen at Spitzbergen. After departing the Alta Fjord in Norway, the battleship Tirpitz (Kapitän zur See Hans Meyer) and the battlecruiser Scharnhorst (Kapitän zur See Friedrich Hüffmeier) bombarded the two settlements while the destroyers Z 27, Z 29, Z 30, Z 31, Z 33, Erich Steinbrinck, Karl Galster, Hans Lody and Theodor Riedel landed a battalion from Infantry Regiment 349 that wrecked various installations and took some prisoners. 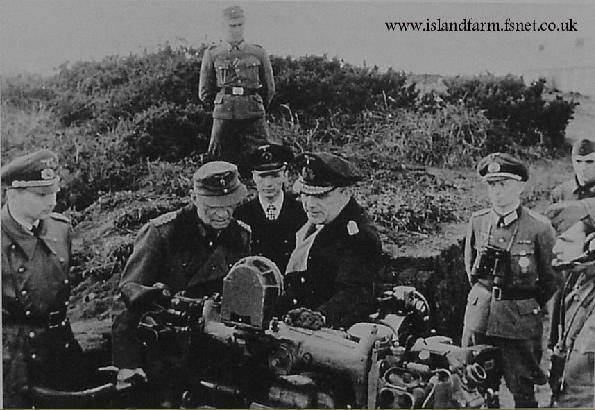 Note: Hüffmeier was succeeded by Kapitän zur See Julius Hintze as commander of the Scharnhorst and, unlike Hüffmeier, the new commander was genuinely popular with the ship’s company. a) He ran Scharnhorst aground off Hela at 26 knots. b) He managed to wrap a buoy wire around the starboard screw while leaving Gdynia harbor requiring dockyard repairs. c) In August 1942, he collided with the submarine U 523 while on maneuvers in the Baltic requiring further repairs. 22 June 1944-24 July 1944: Detached to Navy Group Command West in France. 25 July 1944-26 February 1945: At the same time, Deputy Fortress Commandant Guernsey. 1 October 1944-26 February 1945: At the same time, Chief of Staff of the Armed Forces Commander of the British Channel Islands (Generalleutnant Rudolf Graf von Schmettow). 7th October 1947 transferred via Camp 43 to CIC Adelheide (Civil Internment Camp). 2 April 1948: Released from internment. NOTE: It is likely Hüffmeier received the Iron Cross, 1st Class (1939) and the High Seas Fleet War Badge in World War II but no photographic or documentary evidence has been seen to support this assumption. Vizeadmiral Hüffmeier directed a daring and highly successful raid on the French port of Granville, 8-9 March 1945. Although Hüffmeier took credit for the raid, Generalleutnant Rudolf Graf von Schmettow more than likely planned the raid before his dismissal. Despite the late stage of the war, German minesweepers and raiding parties sortied from the Channel Islands and boldly attacked the port. Kapitänleutnant Carl-Friedrich Mohr commanded the raiding force and was awarded the Knight’s Cross of the Iron Cross on 13 March 1945 for this action. Oberleutnant zur See der Reserve Otto Karl, commander of artillery lighter AF 65, also received the Knight’s Cross of the Iron Cross on 21 March 1945 for his role in the raid. The following is a synopsis of the Granville Raid from The Official Chronology of the U.S. Navy in World War II by Robert J. Cressman, Contemporary History Branch, Naval Historical Center, Chapter VII: 1945, supplemented with additional information from Michael Ginns’ article “The Granville Raid,” After the Battle magazine, Number 47, pp. 37-53. U.S. Submarine chaser PC-564 commanded by Lieutenant Percy Sandell, USNR, engages German minesweepers M 412, M 432, M 442 and M 452 and nine smaller craft off Chaussey. The Germans are bound for the port of Granville, France. U.S. Submarine chaser PC-564, outgunned and badly damaged, manages to outrun the German force engaged late on 8 March and is grounded on the French coast at Pierre de Herpin light (15 men had prematurely abandoned ship of which 14 were captured by the German raiding force). French fishing boats arrive to help the wounded, and the next day, PC-564 is towed into St. Malo harbor. Shortly after PC-564 is knocked out of action, German raiding party attacks Granville, demolishing installations, releasing German POWs held there and sinking small British freighters Kyle Castle, Nephrite, and Parkwood, and Norwegian merchantman Heien. The Germans seize collier Eskwood and tow her to Jersey, in the Channel Islands. German minesweeper M 412 runs aground and is blown up when it is realized that extricating her from her predicament is impossible in the time allowed. would have looked had Germany successfully invaded !